Please forgive me for being a little bit late to the party on this one but I have been otherwise engaged i.e., having a Roman holiday (travel post up soon!). Nevertheless, I couldn’t let an Oscars red carpet pass me by without doing a round-up of my favourite dresses – it just wouldn’t be right! Ah Rita, you did good! Whilst she’s usually a little too far on the wild side for me, I absolutely loved her red carpet look by Marchesa. The new pixie hair cut suits her so well and combined with the structured navy dress it was a modern update on old Hollywood glamour for me. Like the perfect princess, I adored Felicity Jones’ champagne hued gown. The elegant embellished bodice and the satin full skirt is like something out of my Disney dreams. Designed by Alexander McQueen, it’s the epitome of feminine elegance to me. Wearing Saint Laurent, fellow Aussie Margot Robbie was a stunner. I love her new blonde lob which perfectly complimented the swishy layers of her black dress with its dainty mesh sleeves. We all know in my book, you can’t really go wrong in black. Whilst she’ll always be Elle Woods to me, Reese showed us that she’s still got it at this year’s red carpet. What a killer figure! Tom Ford sure knows how to cut a figure-hugging dress. Known for wearing jaw-dropping dresses in the past, this year J.Lo’s gown was worthy of a fairytale. Layers of tuelle adorned with intricate embellishments made her the star of the show. The warm honey hue of this Ellie Saab design was perfect for her tone. When it's Ellie Saab you really can't go wrong. Take a look back at my best dressed at the Oscars from 2013 and 2014. If you live in London, when it comes to cooking meals I'm sure my fellow city dwellers would agree with me when I say you want something quick, easy and uncomplicated (generally having a kitchen that is 2 feet wide hinders complex dishes). My most recent answer and newest favourite dish? Fried rice. All the joys of serious flavour without too much bad stuff for you, thanks to my personal custom recipe. Set your rice cooking on the stove ensuring the water is well salted. In a separate fry pan, cook your bacon until it's crispy and then cut into small pieces. Once it's brown leave it in the pan and add the spring onions and carrot. There should be enough residual oil left to do the trick. When there's 5 minutes to go on your rice add the peas in to cook in the boiling water. Once the veggies in the fry pan are tender, add the garlic, chilli and prawns and fry off. Once cooked, drain your rice and peas and add it into the fry pan. Toss it all together along with the soy sauce. You're frying the rice! Make a well in the centre and add the beaten eggs. Let them cook for a minute or so before tossing the mixture around. Ensure you keep agitating the pan until the egg is dispersed and all cooked. Then serve it up and tuck in. 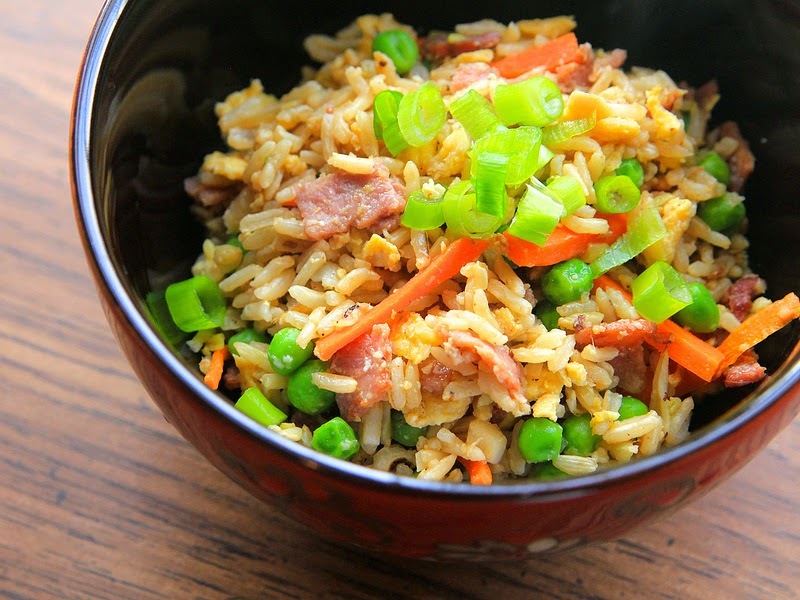 Fried rice, very nice. Styles from left to right, top to bottom: Earrings by Miss Selfridge £8.50, Shoes by Miss Guided £45, Trench Coat by Topshop £45, Shoes by Topshop £20, Jeans by New Look £35, Watch by New Look £25, Bag by Miss Guided £15, Skirt by River Island £30, Sunglasses by Topshop £16, Jacket by Miss Selfridge £30, Bag by Miss Guided £15, Cuff by Miss Selfridge £10, Bag by Topshop £38, Earrings by Boohoo £6, Bag by Miss Guided £25. Ever since I was a little girl I’ve had a fascination with the circus [and fairies, but that’s another story]. The whimsical nature of a travelling performance with flying trapeze artists, girls who could bend themselves in half [backwards mind you!] and hilarious clowns just tickled my fancy. 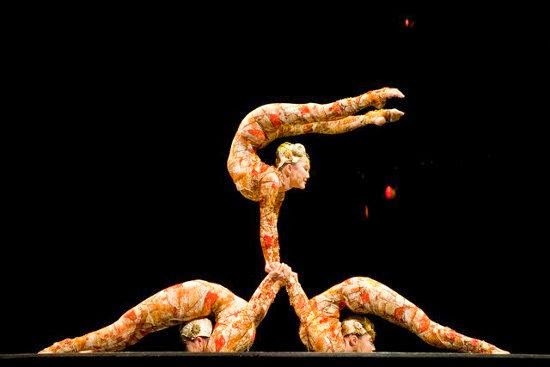 Funny thing is that it took me 24 years to actually go and see a Cirque de Soleil show. But hooray because last week I did it! And the bonus was that it was at the famous Royal Albert Hall – double hooray! 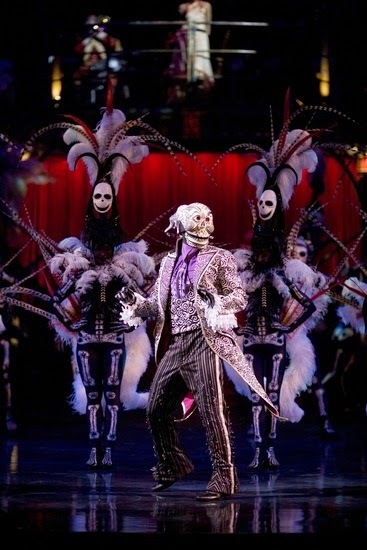 I must say that for the 2 hour performance of Kooza I think I was holding my breath for at least 40 minutes of the show – which left in breathless [obvs], in raptures and a little bit giddy. To give you all the deets in short, it follows the story of a little boy who stumbles across another world full of intriguing and spectacular characters, before going on to get a treat of his own at the end… I’ll leave you to guess what that is. 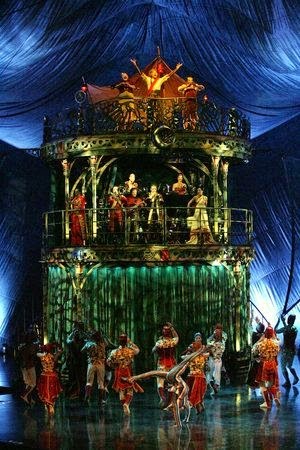 I was nervous, the performers made my heart race and I spent a great deal of time with an “oh no they’re not going to….” expression on my face. But it was spectacular. I saw tight-rope walkers who not only ran and leapt across the rope 8 metres up, but even rode a bicycle on it! 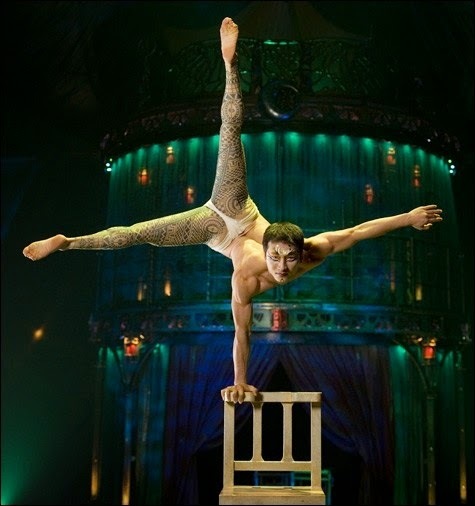 I saw an acrobat perform extreme examples of strength on a stack of chairs that were equally high. 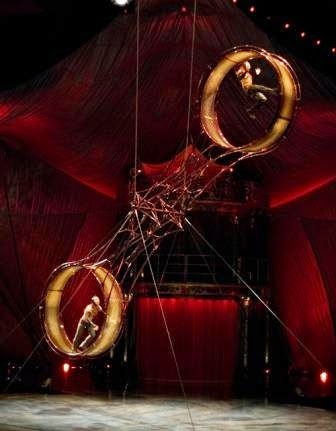 Two men rode a spinning wheel of death (this was my fav and there are no words to describe it, you need to see it!). Not to mention the little pocket rockets who wore stilts 3 metres tall and proceeded to be flipped off a see-saw into triple somersaults then cooly landing on their feet stilts. Like I said, breathless raptures. My night at the circus has only further inspired me to see more shows. I think next might have to be a trip to Las Vegas to see Ka. I can’t wait. When I heard there was a recipe floating around for chocolate brownies with less than 100 calories per slice I was a little sceptical. No doubt they'd be dry, lacking flavour and not really a brownie at all. Like one of those non-fat, non-sugar, non-gluten cakes that people rave about when they actually taste pretty terrible. These brownies are delicious considering they're made largely with oats and natural yoghurt. For a delightful sweet snack without the feeling of guilt I would highly recommend. They're delectably good. It really is dead simple. Preheat your oven to 200 degrees Celsius and grease a small baking tin. Mix all your ingredients together (except the nuts) either by hand or in a blender. Pour into the tray, scatter the nuts over the top and bake for 20 minutes. If you like your brownie a bit gooey you can whip it out a little early. The calorie count is based on cutting it into 12 slices. Perfect to enjoy with a cuppa or wrap it up for a treat in your weekday lunch. Guilt free chocolate? Yes please. Ask what the best place in London is for steak and the whisper on everyone’s lips is Hawksmoor. 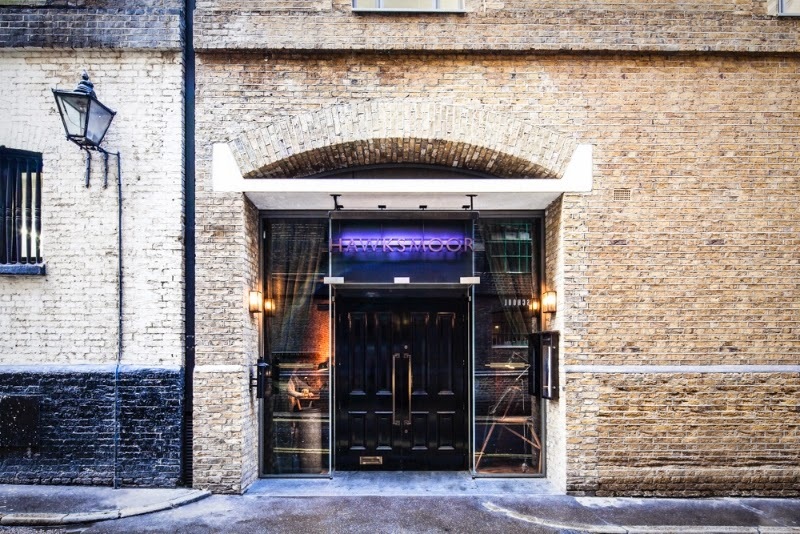 Visit the underground Seven Dials location and you’ll see [and taste] why; this place has an exclusive air and serves up some seriously good meat. I think my iron levels were running low, I hadn’t eaten a steak since I left Australia in July; one because I’ve found the red meat here in the UK to be of questionable taste, and two because it’s really expensive. Thankfully it was Dad to the rescue because during his visit last month he took me to Hawksmoor; best Christmas gift I could have got. 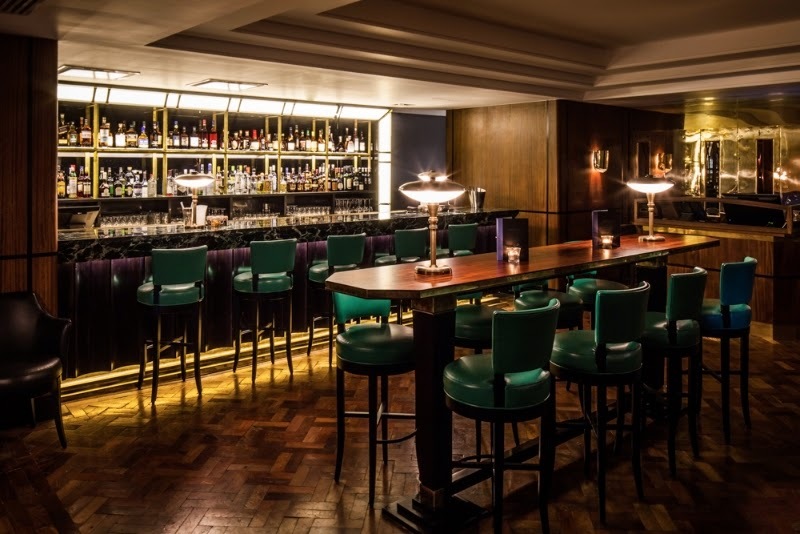 We entered the wood panelled interior and traipsed down the stairs, upon entering the dining room Hawksmoor had the feel of a 1940s speakeasy where a high-end crowd would have indulged in illicit liqueur. It’s a high-class place with an air of mystery, and be sure to watch your head, the ceilings are super low. We indulged in a drink at the bar before heading to our table where we ordered Chateaubriand to share. And boy was it good. You can order single steaks off the menu, or you can do as we did and order one of the special cuts off the blackboard. They have different cuts of different sizes available everyday so it’s potluck what will be there on any given night but you can be assured it’s good. It was an evening of fine wine and delicious food with plenty of raucous laughter thrown in – I think the waiters took a little time to adjust to our Aussie humour; Dad loves a practical joke. Photos by Hawksmoor & Krissie. Ahh my girl crush Rosie Huntington-Whiteley, she always looks beautiful. Love the military-style coat paired with the creamy top and dark wash jean. The tan boot is a bolder alternative to more muted browns. When I saw Katie Holmes rockin' this outfit on the red carpet I was so pleasantly surprised. Full points for bringin' stylish back. The longline coat, the over-the-knee boot and the fedora equals urban-edgy perfection in my book. Nice blow-out too. It's no surprise that Alexa Chung is in my top three, really this girl can do no wrong when it comes to fashion. I'm loving this look she styled for Paris Fashion Week. Blacks, creams and greys truly are my favourite palette. Plus, top points for the pixie shoes, I struggled to find a replica for these babies but I think my substitute pair are equally stylish.